Story elements are much more than the boring, old plot line. We found some fab videos that are perfect for teaching story elements! Whether you’re talking about plot, characters, setting, conflict, theme, or point of view, there’s definitely something on our list that you can use. Of course, there’s no better way to teach story elements than by reading stories with your students. However, like all good instruction, a combination of varied approaches that reach all of your learners is a surefire win. Remember to check out these story elements videos yourself before you show them to your students, because only you know what will work for the children in your classroom. 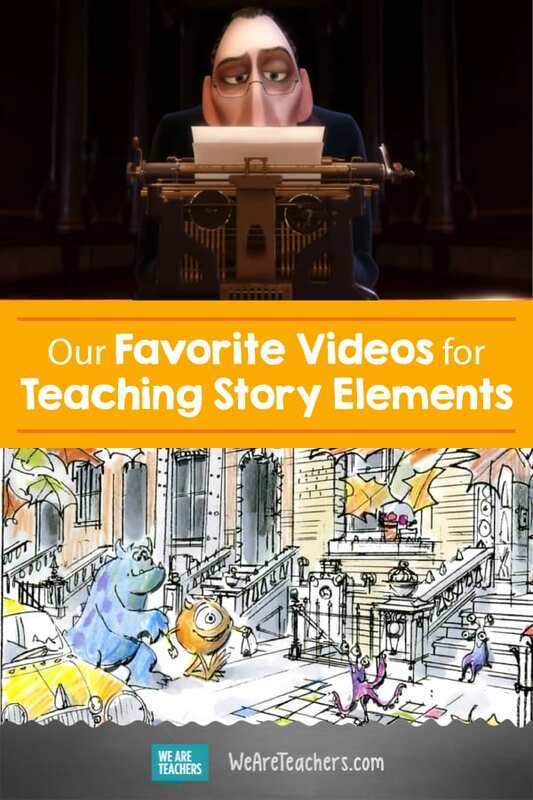 You can also check out our entire playlist of videos for teaching story elements here (and be sure to subscribe to WeAreTeachers YouTube channel while you’re at it). This little song is kind of a hidden gem from a one-hit-wonder creator. It’s great to play as kids come into class during your short story unit. Jack Hartman is a 2016 Parents’ Choice Approved Award Winner for his CD Brain Breaks, and this song totally rocks. The videos focuses on showing that stories have a beginning, middle, and end and that every story has characters, a setting, and a main idea. Plus, the lyrics are included under the video, in case you want to copy and distribute them. Short and sweet, this video is The Wizard of Oz–themed and covers important story elements in under two minutes. Another one-hit wonder, this video is great for middle schoolers since there is no talking and just text to read. The five elements of plot, character, setting, conflict, and theme are covered here in more detail than in the other videos. Need a good intro video for teaching character traits? Check this out. And be sure to check out some of this user’s other videos, too. Perfect for supporting lessons on setting, this video from Teaching Independent Learners is worth your time—and your students’! It’s a clear look at what setting is and why it’s important. Let’s face it: Students struggle with understanding theme—and many adults do, too. So use this short video by McGraw-Hill Education to help everyone wrap their head around this sometimes challenging story element. In five minutes, viewers see a well-made explanation of plot diagram featuring some of their favorite movies. I love the mountain visual, and the text overlays are perfect for upper elementary students. Designed as part of a seventh grade language arts lesson, this video is detailed and lengthy and is part of a flipped classroom curriculum. In twelve minutes, viewers will learn about setting, characterization, plot, theme, and point of view. Okay. So I *may* be a bit obsessed with Flocabulary, my new favorite YouTube channel. 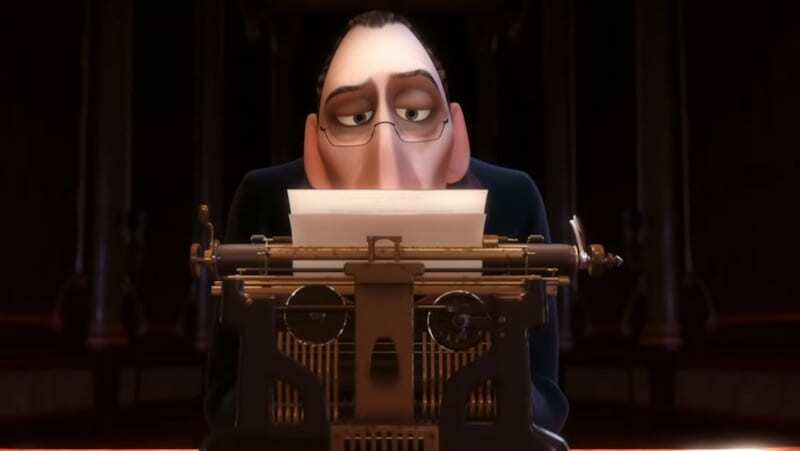 In an incredibly catchy hip-hop song, students will learn about the five elements of a short story: plot, character, conflict, theme, and setting. Need convincing? 2.6 million views on this little ditty can’t be wrong. On our playlist, we’ve added several short films to use for studying story elements. Check them out. They’re all worth watching, and you can figure out which ones will resonate most with your students and which will convey the story element you want to teach. Use the video above to talk about character. Students love it. I love this first video as an introduction to storytelling. It’s awesome. And so is the partnership between Pixar and Khan Academy. This whole series is worth checking out. Kids will love seeing their favorite Pixar characters popping up during lessons. We found an entire session from the 2016 CUE (Computer-Using Educators) Conference. Educator Rachel Diephouse explains how she teaches story elements to her seventh and eighth graders. If you really want a how-to on teaching story elements, this is your stop. We’d love to hear—what are your favorite story elements videos? Come and share in our WeAreTeachers HELPLINE group on Facebook.